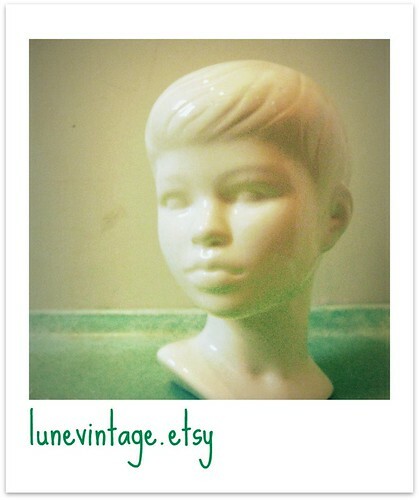 Working on a little update for the lunevintage.etsy shop, ready for Thursday evening! 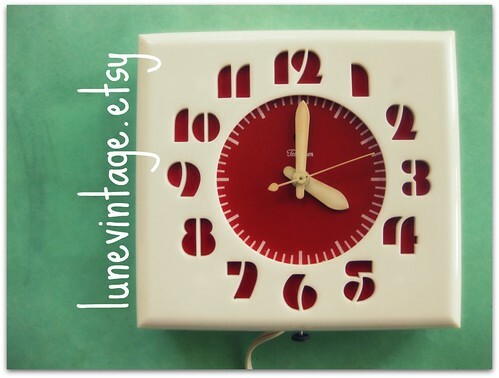 So many cute vintage pretties to take pictures of (my favorite!). 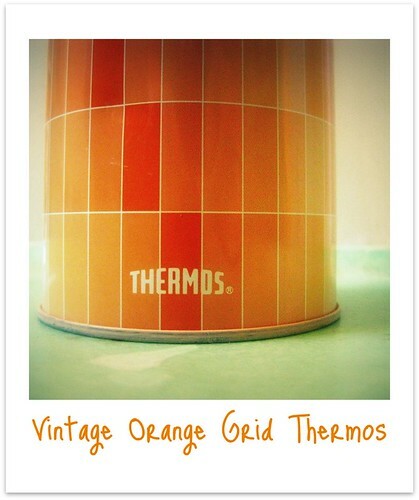 I want wall paper with the same pattern as this tin Thermos! Wouldn't that be great in a kitchen with seaglass green tile. Yesss...dreamy! This clock is a tough one for me. I've kept it for almost exactly a year, but was never happy with where I put it. I guess it's because I don't have any tomato reds to pair it with. I do love it, but I'm glad to add it to the etsy collection, because I know it'll be just perfect for someone else!